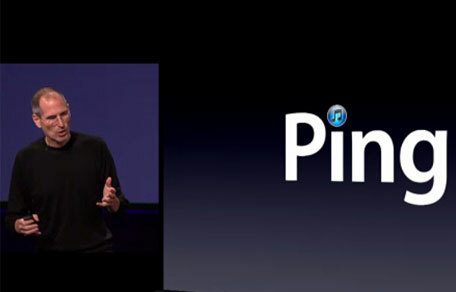 Apple announced the latest version of its iTunes music player at a press conference earlier this week, including a new music-oriented social network called Ping which is designed to let music fans around the world discover new music. However, you might be disappointed if you want to use it to share music you find on Facebook or Twitter, as it is a closed-loop network which doesn’t allow you to cross-post to either of the two major social media networks. Many people are saying that this is a fatal flaw of Ping — besides a name that most critics agree is needlessly goofy and very similar to Seesemic’s Ping.fm social network aggregation system. Talks between Apple and Facebook for integration failed and Apple decided to move forward with the release despite not having hooks into the major social media networks. “Whatever’s going on over at Apple, it can’t seem to stop tripping over itself of late. If it’s not the name of the iPad being offensive to women, or the iPhone’s antenna issue, or the decision to even name it’s new music based social network Ping, and all of its other problems, Apple doesn’t seem to be thinking it’s product actions through to their logical conclusions. “At the very least, and in a crowded environment of social networks, Apple had many examples to follow. In Apple’s Ping, the firm doesn’t seem to have learned anything from them, or followed logic. “If Facebook connectivity is expected, don’t avoid giving it just because, ‘talks fizzled.’ If Facebook was being difficult, it would have been better to broadcast that issue and use it as leverage, either for Facebook to cooperate, or to construct a workaround alternative.